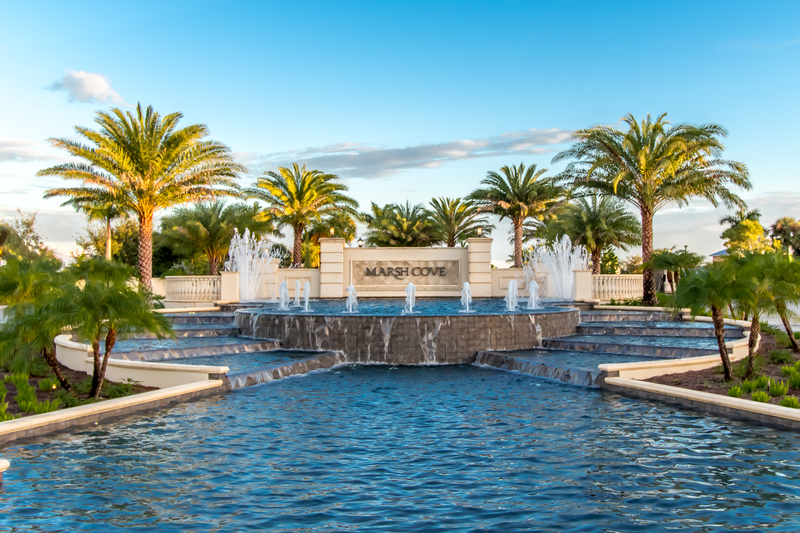 NAPLES / ORLANDO, Fla. — The Melrose Management Partnership with its corporate office in Orlando has been awarded a contract to provide full service property management for Ashton Woods Homes’ luxury single-family home community Marsh Cove, located in Fiddler’s Creek on Southwest Florida’s Gulf Coast. This community will be managed from Melrose’s southwest Florida regional office in Ft. Myers. 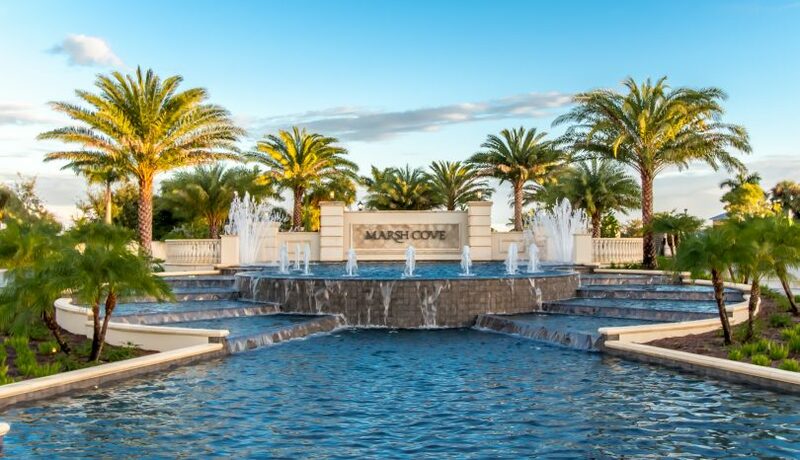 Katherine Montgomery, LCAM, Vice President at The Melrose Management Partnership, said her firm will oversee the Marsh Cove Master Association for the most exclusive section in the award-winning golfing and resort community off of Collier Blvd. in Naples. Ashton Woods Homes is building 112 homes in phase I of Marsh Cove. New homes in Marsh Cove — winner of the prestigious Emerald Club designation — are priced from over $1,000,000. Move-up buyers within Fiddler’s Creek are buying a lot of the homes in Marsh Cove, according to Montgomery. Under the agreement with Ashton Woods Homes, The Melrose Management Partnership will provide the supervision of all community management, including HOA meetings and owner-resident relations at Marsh Cove. Melrose also partners with Ashton Woods Homes for management of the majority of the homebuilder’s resident controlled communities in the Orlando and Tampa areas. “We are excited about expanding our professional services for Ashton Woods into their other markets and look forward to a long partnership with them at this beautiful community in southwest Florida,” said Montgomery. Eventually Marsh Cove will have 540 homesites. The Melrose Corporation is a leader in modern community and lifestyle management. The Melrose Partnership, its association management branch, has overseen the affairs of more than 1,250 communities over 25 years currently manages numerous communities throughout Orlando, Lakeland, Tampa, Sarasota, Port Charlotte and Naples-Fort Myers. Melrose Lifestyle Services, its amenity and lifestyle management division provides customizable community programming tailored to meet the unique needs of its developer and homeowner clients. About Ashton Woods Homes – One of the nation’s largest private homebuilding companies, Ashton Woods Homes is blazing new trails in design and personalization to build homes as unique as the people who live in them. Collaborating with homeowners for over 25 years, the company and its team of world-renowned designers look beyond the conventional to draw inspiration from unexpected sources, resulting in exceptional design in every Ashton Woods home. Recently recognized as the Most-Trusted Builder in America for the second year in a row by the Lifestory Research 2014 Most Trusted Builder in America StudySM, Ashton Woods’ collaborative approach is a key driver of its best-in-class customer satisfaction scores, with 95% of homebuyers likely to recommend the company to friends and family. For more information, or to experience the excitement of becoming another satisfied Ashton Woods homeowner, visit www.ashtonwoods.com.